Having 32 years of experience in the mortgage business, Gateway has turned this workaholic into a valued Gateway family member and Mortgage Loan Officer. She approaches her clients with a “continuity of attention”, meaning that she loves the task of taking a client from the start of the relationship to a resolution that benefits all parties involved. Her ability to connect by providing a personal touch helps keep the process stress-free and simple. The reputation Gateway has of “getting things done” and watching it all done in-house helps make every day a new adventure for her. She strives to continue the legacy that has been built by our team. Virginia has a personal investment in the area, having grown up in Kenosha. After school, she taught for a while at Kenosha Tremper and is an active member of the Kiwanis of Western Kenosha. 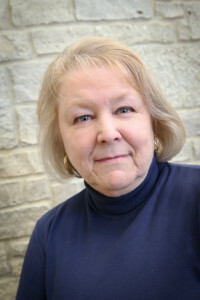 When we can pull her away from her work she enjoys exploring her genealogy and also absolutely loves a number of festivals in the area including the Taste of Wisconsin put on by the Kiwanis Club. She sees events as a valuable asset to community-building and living in southeast Wisconsin.